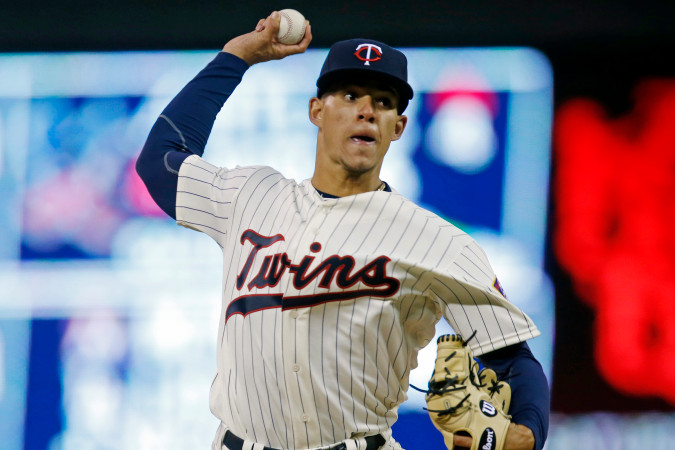 Former Cedar Rapids Kernels pitcher Jose Berrios made his major-league debut for the Minnesota Twins on Wednesday, taking the loss in the Cleveland Indians’ 6-5 win at Target Field. The right-hander struck out five batters in four-plus innings, but also gave up five earned runs on six hits and two walks before being removed from the game three batters into the 5th. He also hit a batter. 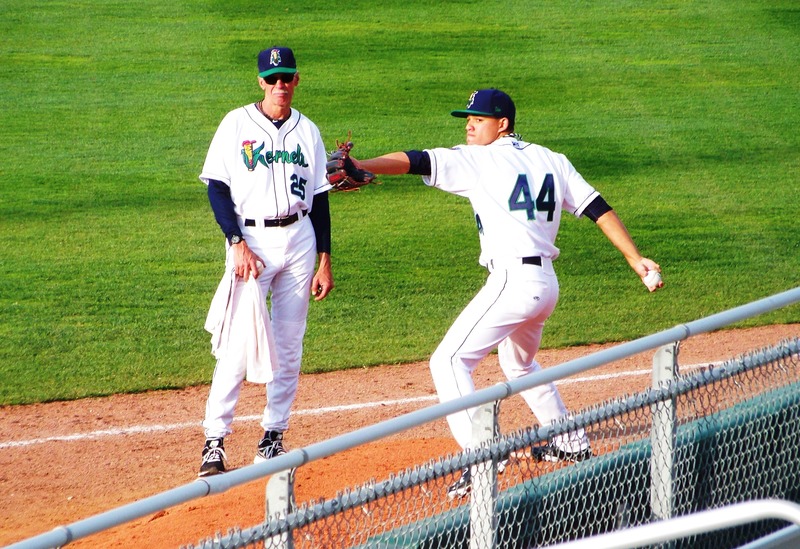 Berrios — the highest-drafted pitcher ever from Puerto Rico — played for the Kernels in 2013. He went 7-7 with a 3.99 ERA, 100 strikeouts and 40 walks in 103.2 innings (19 starts). The then-Kernels pitching coach seen in the above photo is Gary Lucas, who now serves in that same capacity for the Wisconsin Timber Rattlers. Nicolino dominates Dodgers in L.A.
Former Lansing Lugnuts hurler Justin Nicolino made his first major-league start of 2016 on Wednesday, limiting the Los Angeles Dodgers to two hits and two walks while striking out two in 7.1 innings. The Miami Marlins lefty, who made his MLB debut last year, pitched for the Lugnuts in 2012, going 10-4 with a 2.46 ERA, 119 strikeouts and 21 walks in 124.1 innings (28 games/22 starts). 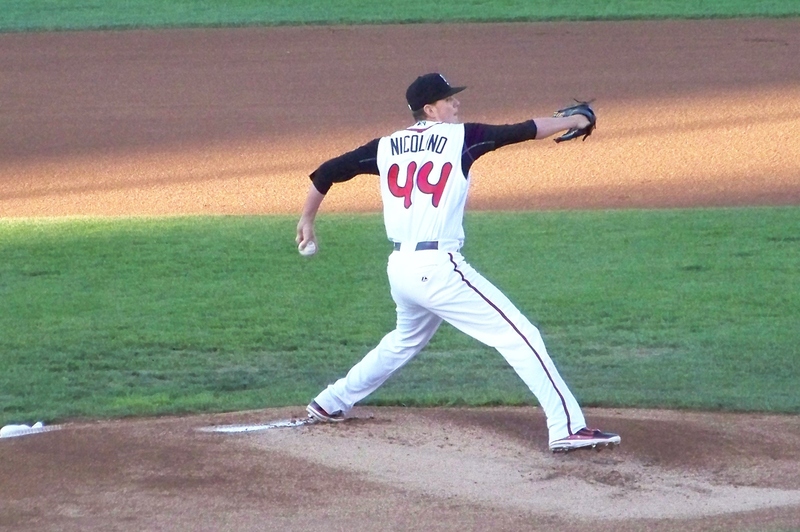 He also made three regular-season starts for the Lugnuts in 2011, and pitched for Lansing in the Midwest League playoffs in both 2011 and 2012. This entry was posted in 2011 Playoffs, 2012 Playoffs, Cedar Rapids Kernels, Lansing Lugnuts, Midwest League, Wisconsin Timber Rattlers. Bookmark the permalink.